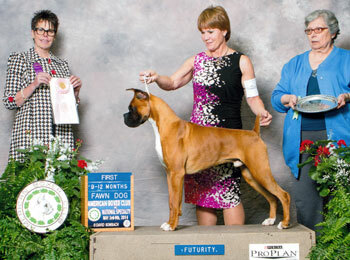 White Pines Linebacker From Heart Acre, "Backer", pictured at the left at 8 months old. 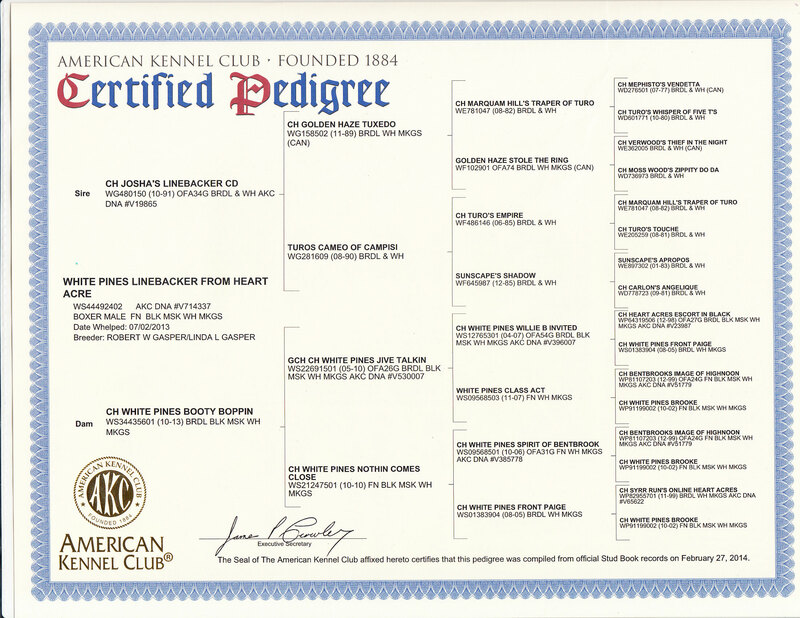 Backer is by Am/Can Ch. 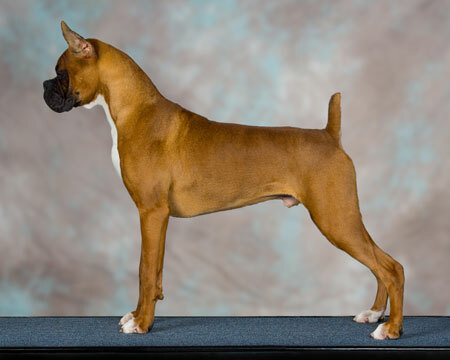 Josha's Linebacker, CD, CGC, SOM, CSOM, LOM, CLOM X Ch White Pines Booty Boppin. 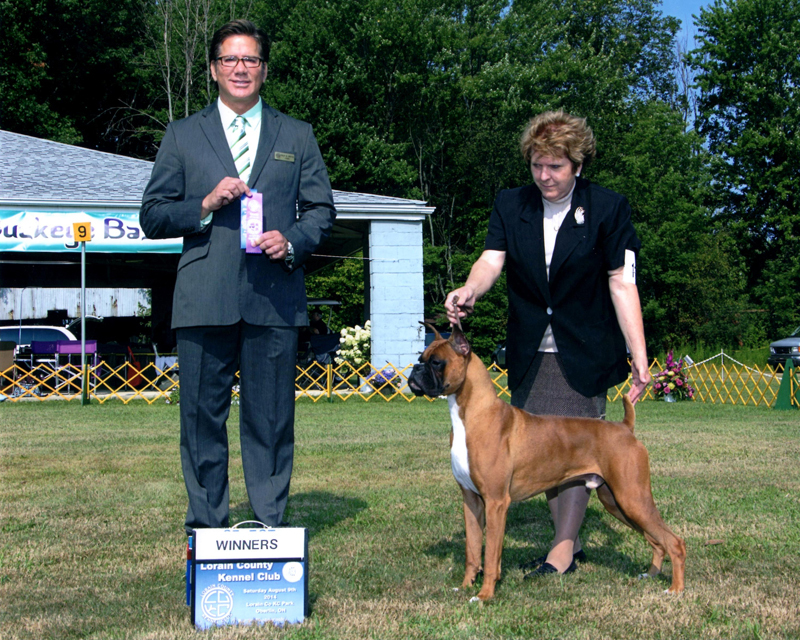 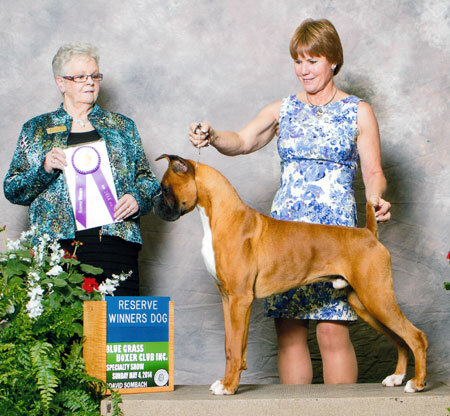 Pictured below is Backer winning Reserve Winners Dog to a 5 point major at the Blue Grass Boxer Specialty and his win in the 9 - 12 month Fawn Puppy Dog class at the 2014 ABC Futurity. 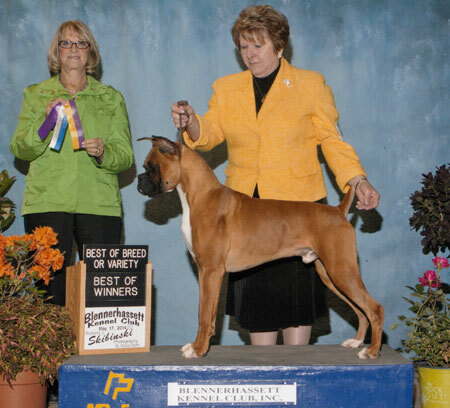 He also went WD, BOW and BOB at the Blennerhassett KC show in May, 2014 at the age of 10 months.